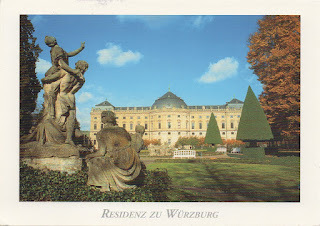 The Würzburg Residence is a palace in Würzburg, Germany. Johann Lukas von Hildebrandt and Maximilian von Welsch, representatives of the Austrian/South German Baroque style, were involved in the construction, as well as Robert de Cotte and Germain Boffrand, who were followers of the French Style. 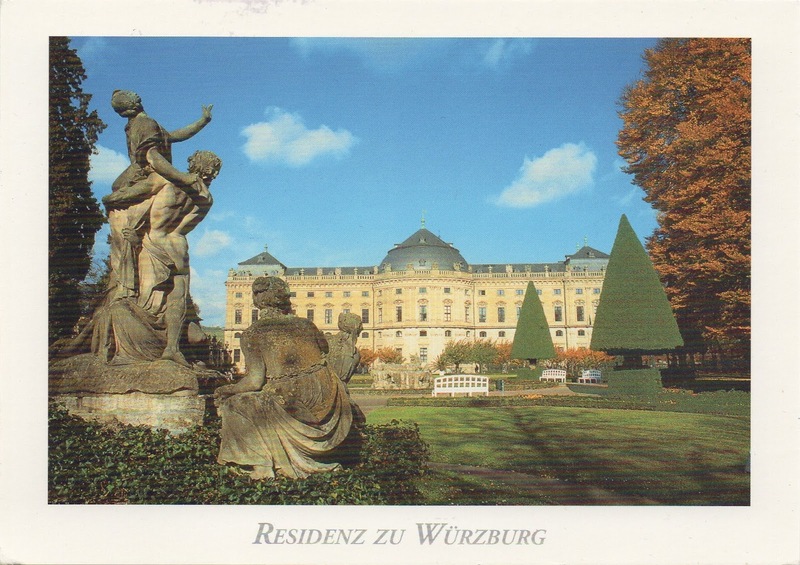 Balthasar Neumann, court architect of the Bishop of Würzburg, was the principal architect of the Residence, which was commissioned by the Prince-Bishop of Würzburg Johann Philipp Franz von Schönborn and his brother Friedrich Carl von Schönborn in 1720, and completed in 1744. The Venetian painter Giovanni Battista Tiepolo, assisted by his son, Domenico, painted frescoes in the building.